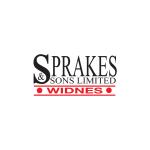 The YKK sponsored Widnes Wild rounded off their best ever league season to date with a comprehensive 16-5 derby victory over fierce rivals Deeside Dragons at Planet Ice Widnes on Sunday. 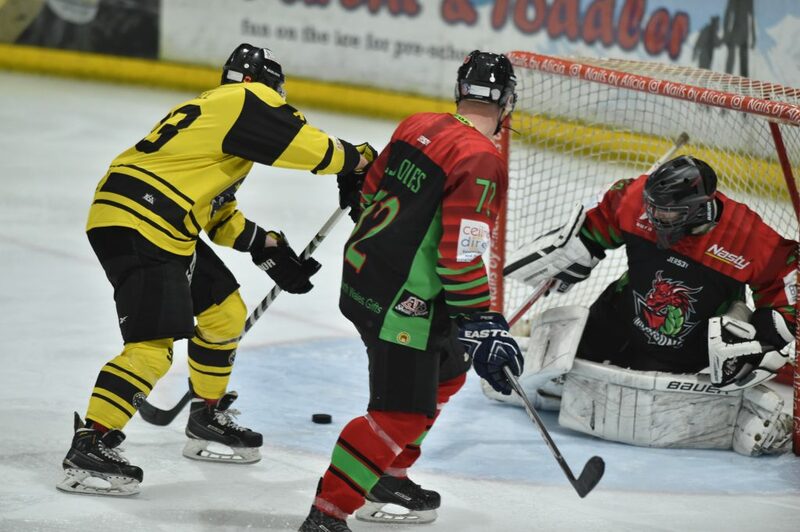 The win means that they have won all four meetings with the Dragons this season and, having also completed a first ever clean sweep over the Altrincham Aces, the Wild hold the undisputed north-west bragging rights to go with their highly-coveted first ever Laidler Division league title. The game started well for the Wild with goals from player coach Ollie Barron and Danny Bullock putting them 2-0 ahead after just 6 minutes. The Dragons fought back, however, and were level on 14 minutes and it took a second strike from Bullock some 2 minutes later to give Widnes a slender 3-2 lead heading into the first period break. A goal just 50 seconds into the second period from the Wild’s leading goal scorer Jakub Hajek restored the two-goal advantage but Deeside hit back again with a goal on 22 minutes. After that, the floodgates opened and Widnes scored 6 unanswered goals with Michal Novak (2) Daniel Fay, Bullock, Ken Armstrong and Barron all finding the net for a 10-3 scoreline after two periods. Hajek scored again on 45 minutes and Deeside countered once more but further strikes from Shaun Dippnall (2), Fay and Stuart Brittle put the game well and truly beyond the reach of the visitors. Despite this being a local derby game, the match had been played in comparatively good spirit with very few penalties being handed out until a curious incident around the 50 minute mark saw a flurry of penalties being handed out – mainly to Dragons players. A fight between the Wild’s Lee Kemp and a Dragon lead to the visitor being handed a 2 minute penalty for interference plus 2+2 for fighting, with Kemp also getting 2+2. The fallout from this saw two more Dragons players being sent to the penalty box and a misconduct penalty for the Deeside bench, all of which took some five minutes to sort out before play could be resumed. The Dragons did score once more – with 5 minutes left on the clock – but Daniel Fay completed his hat trick for the Wild in the 57th minute to round off the scoring for the game. 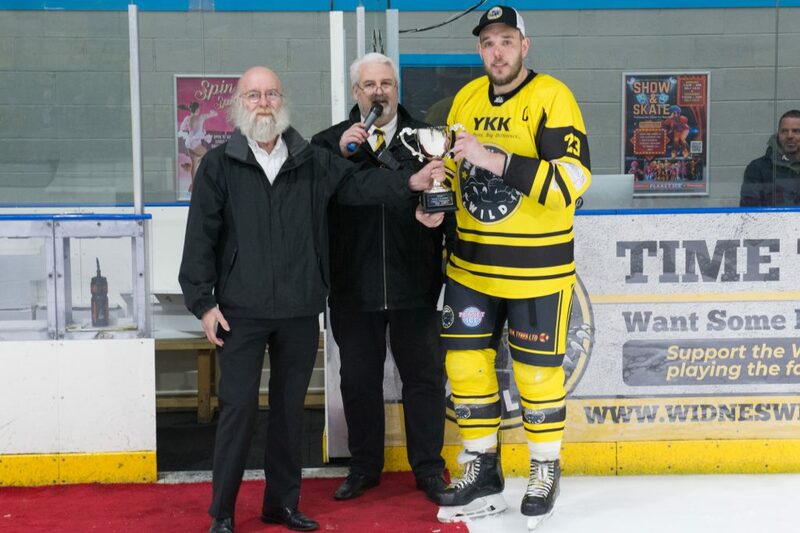 After the game, the Laidler Division championship trophy was presented to Wild team captain Simon Offord by Gary Dent from the English Ice Hockey Association. Special awards were also made to players Danny Bullock, Lee Kemp, Bez Hughes and Ollie Barron for having reached 100 games in Widnes colours and coach Mark Gillingham was presented with an award for having coached over 200 games on the Wild bench. “Our attention now turns to the national final in Coventry. We have 2 training sessions in the build up where we will be focusing on game situation plays to make sure we are ready for the challenge to face the team who wins South 2”. 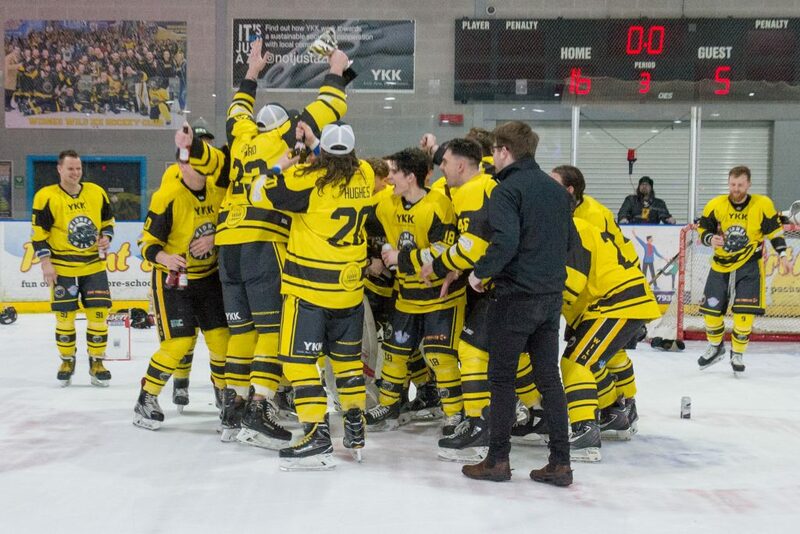 The Wild now have a fortnight to prepare for their “North v South” Division 2 championship game at the Coventry play off weekend on Sunday 14th April. Their opponents will be the winners of the NIHL South Division 2 (Wilkinson) league title and will be either Slough Jets or Solent Devils. Both teams have one game left to play before the destination of that league title is decided. The Widnes Wild women’s team take centre stage this Sunday 7th April when they entertain the Bracknell Firebees in their next Women’s Premier League game at Planet Ice Widnes. Face off is at 5.30pm.